Sailing the High Coast World Heritage to discover its natural beauty is pure fun. 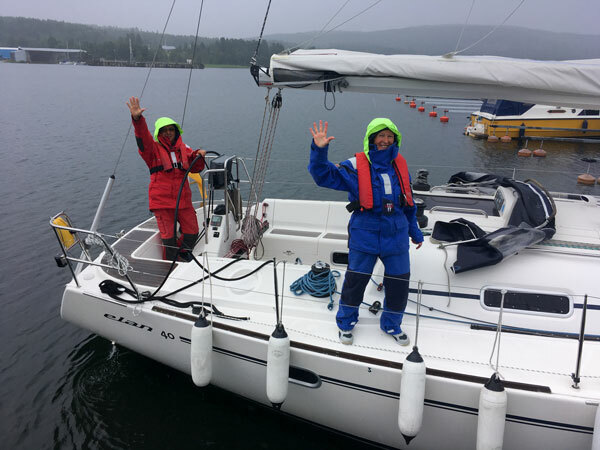 Increasing number of boat owners, looking for a style of sailing more close to the Nature, are discovering the High Coast / Höga Kusten in the region Västernorrland in Sweden: 80 km of some of the most spectacular shorelines and waters in the Baltic Sea. The High Coast is a protected area worldwide, included in the UNESCO World Heritage List. The landscape has been formed by 10.000 years of land uplift, following the last Ice Age. It is characterized by islands, deep inlets and lakes, valleys, steep hillsides and mountains. Land uplift, brackish water environments, sea level fluctuations, and a lack of tide are features of the High Coast: a unique example of ongoing geological and biological processes and ecosystem development in time and space. Stunning coastlines, nature reserves, bird sanctuaries and a national park are probably the greatest attraction for people who reach this area of the Baltic Sea. This provides sailors with interesting and stimulating experiences of outdoors of great natural beauty. HIGH COAST SAILOR'S TIPS: • To mix sailing & hiking (add to your sailing bag a good pair of hiking shoes and a small backpack with a water reserve). • Explore the more internal coast to step out onto a collection of places and coastline, much of is wonderful. Spring and summer is the ideal time to visit this heritage coastline: when the environment of the Höga Kusten is very special for sailors, too. In the days when the darkness of the night never comes, you couldn't imagine a more inspirational place to sail, look and listen. Sea, wind, the Nature and the marine fauna are the real protagonists of unforgettable sailing days, both if you are a day cruiser or a long distance sailor. 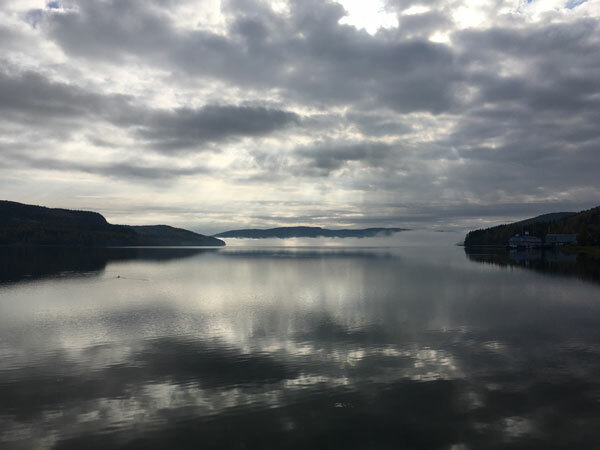 The High Coast waters are mainly deep and the navigation is always very quiet. This allow you to cruise the beautiful coastlines, islands, bays and fjords safely. You will appreciate to sail being surrounded by the mountains and forests that embrace the seashore. Natural moorings and harbours are never crowded even during the "high" season (July). It's common to navigate "alone" along the coast, happy to meet only a few boats. If we take the weather out of the equation and get to understand that we could go to the sea even late of May or middle of September, instead of just four/five weeks during the Summer, we'll discover there is always something we can do on our boat, so... make time to explore! First step to appreciate what we see and explore is to understand what are we standing by. To experience the High Coast and its unique mix of sailing, coastal walking and hiking at the top you have to sail out-of-the-way less common destinations and venture to explore with your boat the more internal coast: this allows you to enjoy the real heart of the Höga Kusten World Heritage that will involve you and your crew in unique inspiring experiences of its uncommon natural beauty. 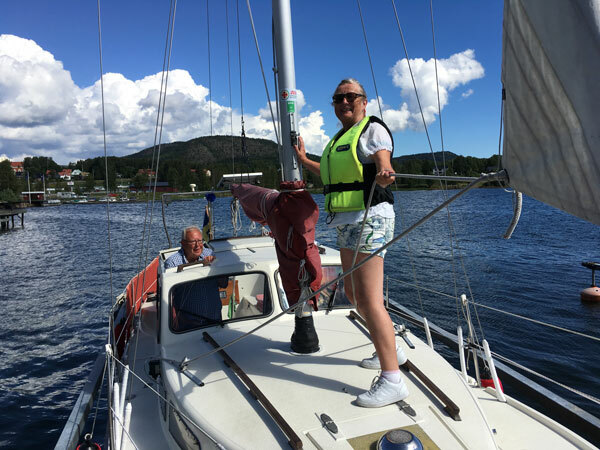 For example, leaving your mooring from Ulvön, Bönhamn or Mjälton, and heading your boat to the entrance of the Ullångersfjärden, you can enjoy the spectacular cruising to the village of Docksta, between Mjällomslandet and Värnsudden / Valabergen. Entering the Dockstafjärden you have from the water stunning views of three of the most beautiful peaks in the High Coast: Vårdkallberget (264m), Fäberget (197m) and Skuleberget (295m). 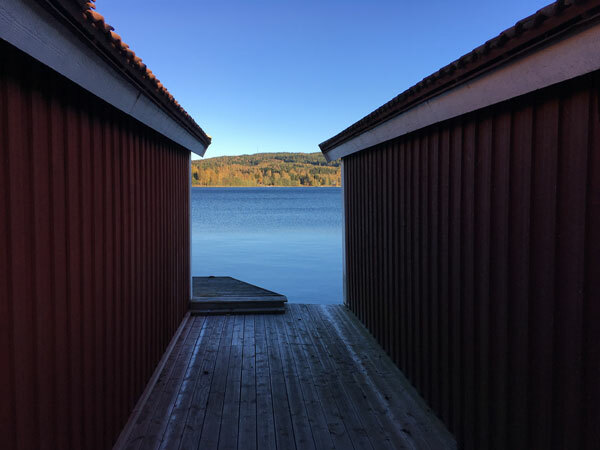 Then, at the end of the fjord, you reach the moorings of the guest harbour in Docksta that is close to the Skuleberget and the Skuleskogens National Park. 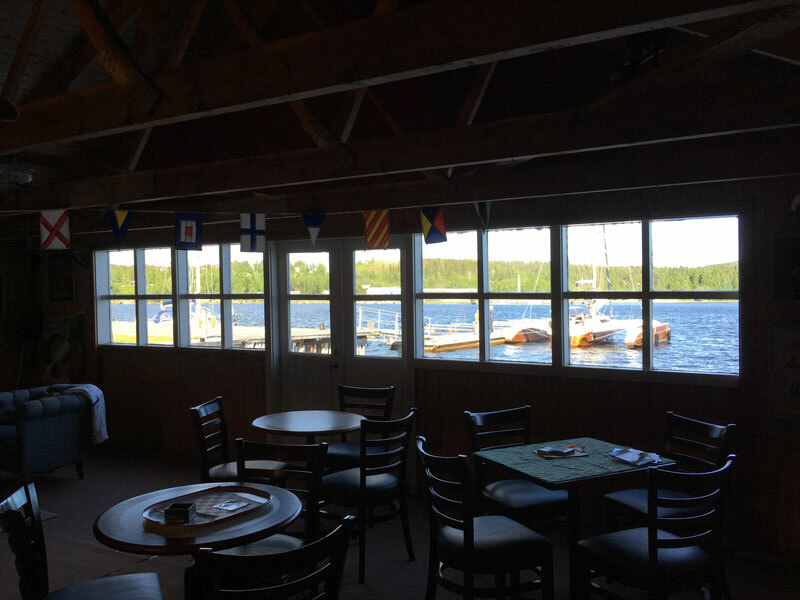 With your boat moored at the marina, that provides a perfect waterside base to Baltic Sea cruisers, you will easy access stunning outdoors in the area of Skule and facilities and commercial shops in Docksta. HIGH COAST SAILOR'S TIPS: • A walk discovering Skuleberget is always spectacular (you can easily reach the top with a chair lift, too) and there are several great paths to hike or biking from the the guest harbour. • Seasonally in the area of Docksta, you find opportunities & events - outdoors, music, sport, culture, food - to engage your crew. Docksta Havet Base Camp is a friendly private guest harbour: High Coast Sailors find here attention, safe moorings & dedicated services. 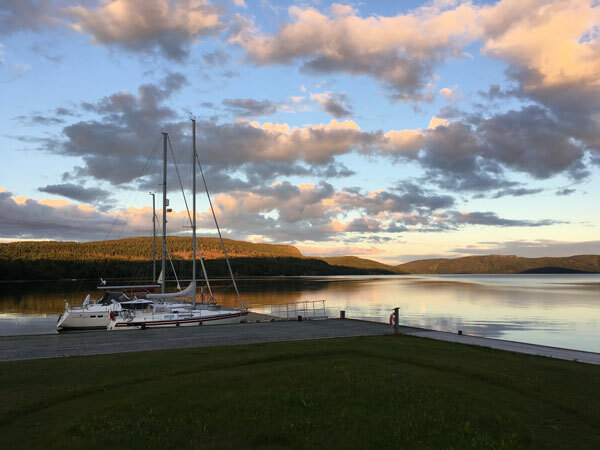 The marina in Docksta is the best spot near the Skuleberget to leave your boat on secure berths and to easily access the natural surroundings and outdoor activities in the area of Skuleberget and Skuleskogen National Park. Docksta Havet is the natural “sailor's base camp” to access the High Coast simply, directly and safely or to be comfortable to leave your boat in a safe and controlled place when you need to commute during your holiday. You can easily moor a sailing or motor boat of any size, even more than 55/60'. The piers and floating wharfs are well protected from the main winds and waves from south are really small within Dockstafjärden. We have care of your boat & crew: if possible, we assist you during your approach at the harbour and help you while you are mooring your boat. The marina offers a wide range of facilities and services exclusively reserved to the sailor guests, among which: the Service House with toilets, showers with warm water all day, changing room and laundry area (washing machine and dryer) and a countertop to wash the dishes, the Sailor's Club House (always with fresh free coffee) and free private parking area. At Docksta Havet Base Camp, you are free to choose between several time given alternatives and seasonal moorings. Since 2006, when we restored the area of the marina, the first aim was reintroducing moorings and dedicated services to support sailors & cruisers in discovering the beauty of the swedish High Coast waters and coastlines. Docksta Havet is a member of the Riksföreningen Gästhamnar Sverige (RGS), quality certified 4 stars out of 5. We are High Coast Ambassadors for the Cruising Association (UK). But, more important, we're sailors, too. We know what you are waiting for and glad to find during your mooring. We hope you will enjoy your stay at Docksta Havet Base Camp! Docksta is also an exceptional point of connection north/south (close to the main road E4 and bus stops): the Marina offers the smartest connection solutions for the cruisers who want to change crew or want to get there by car and start exploring the High Coast by boat. 50 meters from Docksta Havet there are two bus stops - "Docksta Marina" and "Docksta Busstation", that connect north/south toward the main Swedish towns (including Stockholm). You also find easy connections to the railway stations in Sundsvall, Härnösand or Örnsköldsvik, and to the airports (Midlanda/Sundsvall, Örnsköldsvik or Kramfors). There are also local TAXI services. HIGH COAST SAILOR'S TIPS: • Docksta is the best spot to buy food for your galley on board (ICA supermarket is 300 meters from the harbour) or to get assistance and services for your boat. • RUNNING #fromthepier - Did you run the challenging trails around Docksta & Skuleberget? Guaranteed hill running training and top fun! If you love sailing + walking, biking, hiking, running or climbing, the marina in Docksta is the perfect base camp to start from. The mountain rises 295 mt above the sea. On the top of Skuleberget you find the highest shoreline in the World - 286 mt above the current coastline, there is a metal band nailed to the rock to mark it. The land uplift continues and is current 8 millimeters a year (and when Skuleberget has rose further 14 meters will it be in the same level as before the ice age 9500 years ago). Several paths, that you can easily reach walking or biking from your mooring in Docksta, deliver you to the top of the mountain. You can also reach the top with the "Linbana" (chair lift). 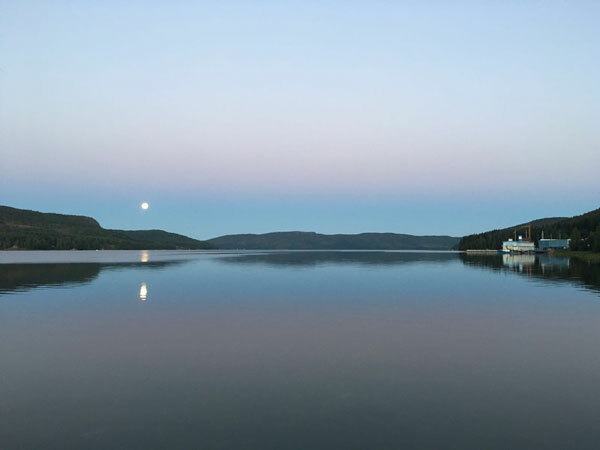 Naturum is one of the opportunities that sailors can easily reach: it lies at the foot of the Skuleberget, at the border of the Skuleskogen National Park, about 3 km walking or biking north of Docksta Havet. If you want your crew to have an unforgettable experience, the Skuleskogen National Park will deliver: a roadless wilderness of 30 square kilometers where the Baltic Coast is at its steepest. Skuleskogen is one of the few remaining large, ancient forests of the coastal region. The red-coloured Nordingrå granite cliffs, the land uplift coast and the coniferous forest, with rare species of lichens, characterise the park. Hiking on over 30 kilometers of well-marked paths of varying degrees of difficulty lead you to everything worth seeing, within forests, hills, bays. The spectacular views over the national park's dramatic landscape and the surrounding High Coast. The 7 meter wide, 30 meter deep "Hell Gab" crevice, which cleaves the Slåttdal mountain in two. HIGH COAST SAILOR'S TIPS: the southern entrance (Entré Syd) is the nearest to the Slåttdal crevice. Follow the path to Slåttdalsskrevan and climb the Slåttdalsberget to the north of the ravine. You can return back via Tärnättvattnen and Näskebodarna. View from the top of Vårdkallberget, Höga Kusten toward Ullångersfjärden and Salsåker. Docksta Havet Base Camp (quality certified 4 stars RGS Gästhamn) offers a wide dedicated range of facilities and services to elevate your staying to the next level. The piers and floating wharfs of the marina in Docksta provide you with an easy and safe mooring for your sailing or motor boat. The Service Hus is dedicated to the boat crews that are moored at the piers: it provides them with toilets, showers with warm water all day, changing rooms, laundry area (washing machine & dryer) and a countertop to wash the dishes. Hot water available 24/7 included. THE COZY "SAILOR'S CLUB HOUSE"
Sea lovers are welcome to visit the Sailor's Club House: 100 sqm. dedicated to our guests, to relax reading a selection of books and sailing magazines, to drink a (free) coffee with your family or friends, collect information to explore the surroundings or to have a look at the Sea Shop Corner for the sailors. Sail&Bike is the formula that allows you to moor the boat in the marina and to rent a mountain bike for you and your family or crew: a good opportunity to have fun, move on your legs and to break the on board routine. Those buildings were old boathouses, then at the end of the Seventies they were reconverted to different destinations. What plays here now? Exhibitions, pop-up stores, summer workshops, indoor and outdoor events, meetings... which can be set-up temporarily at Docksta Havet. would you like to book a spot? 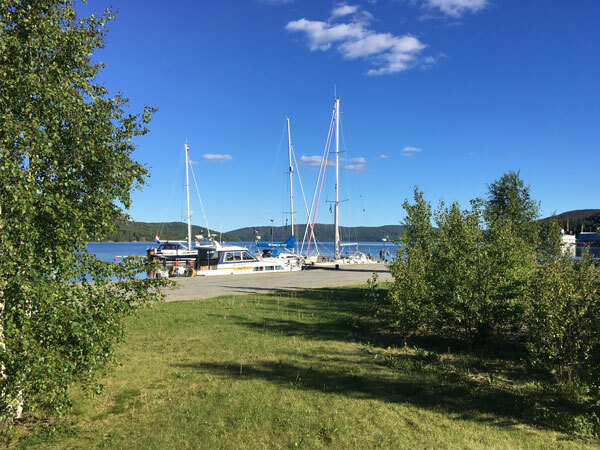 At Docksta Havet guest harbour you can leave your boat on secure berths: here you may find different opportunities with time given alternatives to match specific needs or seasonal moorings. Would you like to book a spot for your boat? CHECK-IN IS REQUIRED UPON ARRIVAL AT DOCKSTA HAVET PIERS. YOU SETTLE WHEN YOU LEAVE :) We require to check-in the boat at your arrival. But you pay before you leave, so you are free to change your plans and decide how long to stay. All mooring formulas excluding electricity and water. All the prices are in SEK (swedish krona). We accept payments in cash or credit card. € accepted. The access to the Service Hus with toilets, showers and laundry/dish area is allowed by entering a personal code. The code is released at check-in. PARK FREE your car and go sailing the High Coast! Free unattended parking is available at the marina for the guests of Docksta Havet Base Camp. For long term parking, we ask sailors to show on their car's dashboard the coupon that will be released when registering the boat. 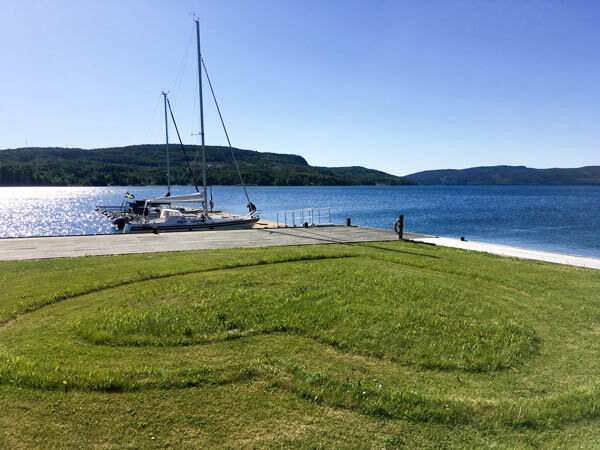 In the middle of the Höga Kusten World Heritage, at Docksta Havet Base camp you find a secure mooring for your boat, fresh water to refill your tank and electricity to recharge the boat's batteries, comfortable toilets & showers, a washing machine & dryer to refresh your onboard linens & laundry. In the center of Docksta village, near the piers of the marina, sailors find useful commercial facilities and shops easy to reach by boat and connections with the bus lines, the main road (E4) or local TAXI services. • An efficient refueling GAS STATION (PREEM Docksta Baren) is only 400m from the guest harbour. ATM (cash point) available during opening hours. • A supplied BLACKSMITH SHOP (WOODY bygghandel) that also handles package delivery and is SYSTEMBOLAGET representative. • A renowned RESTAURANT (Kustladan), at less then 2km from the guest harbour. • A GYM (Pat's Gym) that is the reference point in Docksta for those who want to keep fit by increasing muscle strength using weights and loads. The gym is open 24/7 and has also a daily pass formula. Follow Docksta Havet Base Camp and join the #HighCoastSailor community!